We recently saw some tuna steaks for sale, and since we'd never purchased any before, we decided to make an exploratory purchase. The first thing we wanted to try? 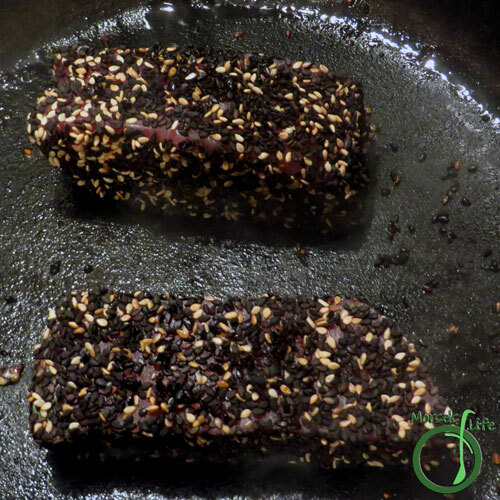 Sesame Crusted Tuna Steaks! Making these steaks was pretty easy too. I thought I'd need to dredge the tuna in something before searing, but the tuna does a surprisingly good job of keeping the sesame seeds stuck. All you've got to do is press them into the tuna slightly if you feel like it. Even without pressing the sesame seeds into the tuna, the vast majority of the seeds will stay stuck. As part of this meal, I also made a ginger carrot topping or dressing. Feel free to serve it on the side, on top, as a dip, or not at all! Although, if you decide to leave it out, I would recommend mixing the other ingredients and using it as a sauce so you'll have a more flavorful tuna. 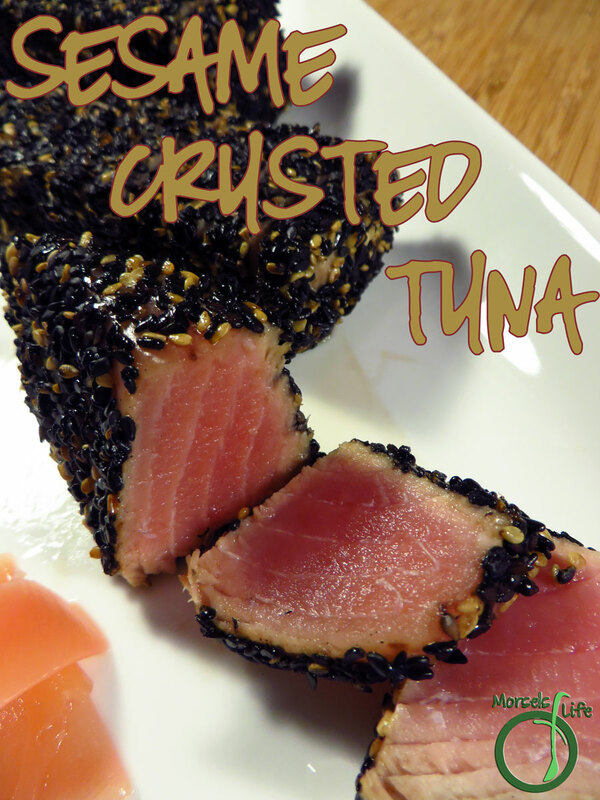 :) Give this Sesame Crusted Tuna a try and surprise yourself with how easy it is to make! What's a dish you thought was a lot more complicated than it actually is? 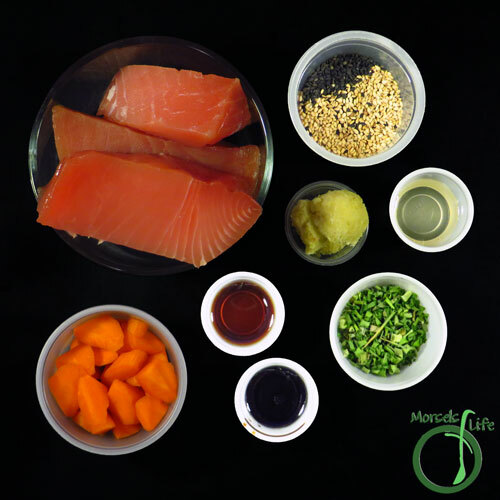 Easy and yummy - try this sesame crusted tuna steak with an Asian inspired ginger carrot sauce! 2 tuna steaks I cut each steak into two pieces, and I can't remember why! 2. 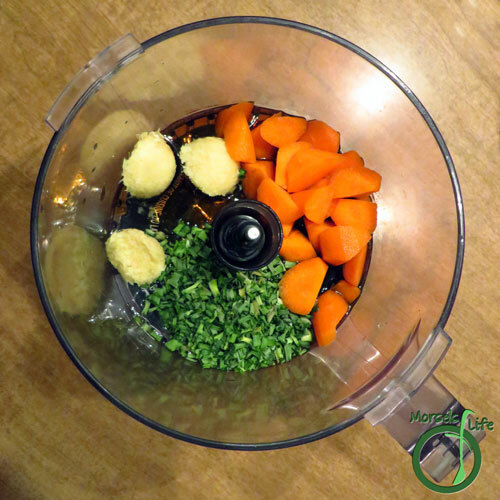 Process together carrots, ginger, green onions, sesame oil, and soy sauce until smooth. 3. 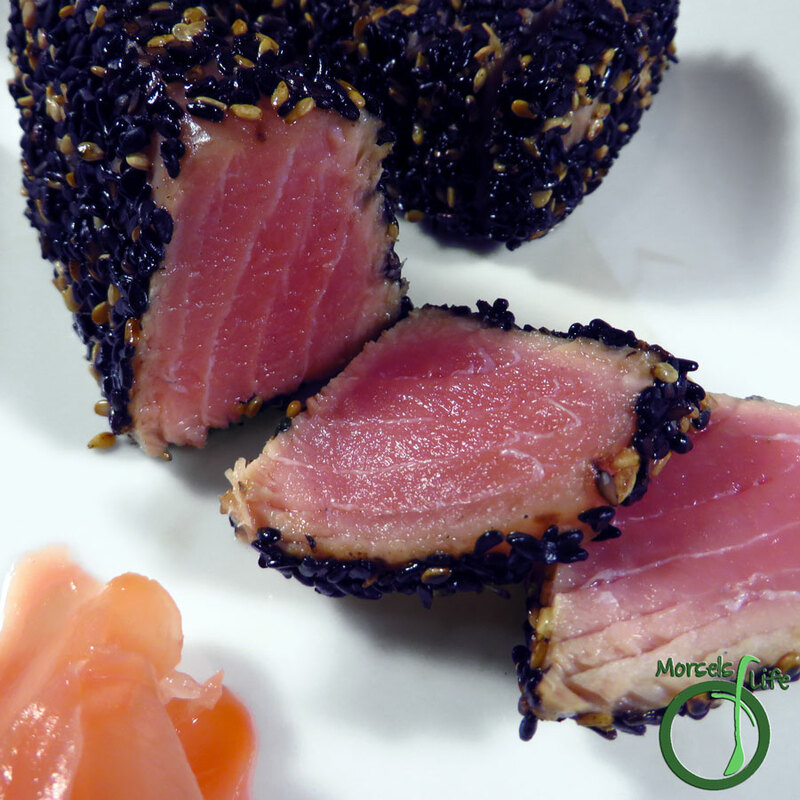 Press tuna steaks into sesame seeds to coat. Repeat for each side. 4. Cook in a greased pan for 1-2 minutes on each side (for medium rare). Looks great! 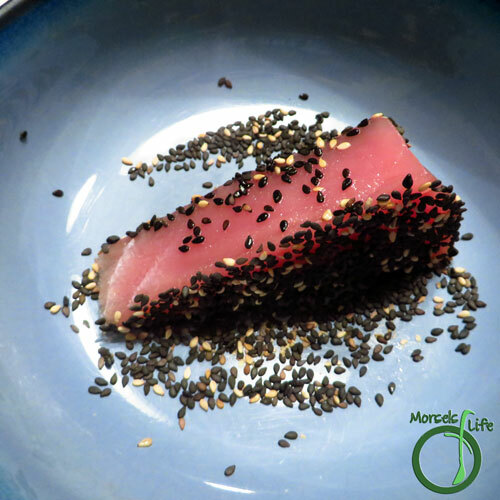 I love seared tuna! Oh my, that looks absolutely amazing! It is hard to get good tuna steaks in small town mid-west, but I am going to keep an eye out! 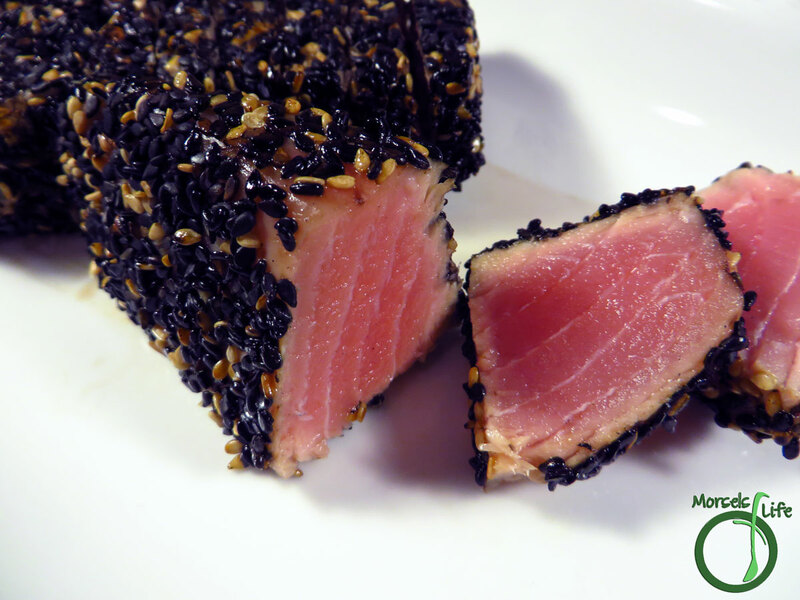 I love sesame crusted tuna and often order it at restaurants, but have never made it at home, this sounds delicious, I will have to give it a try! Thanks for sharing at What'd You Do This Weekend?! What a great recipe! I'm pinning this now. Thanks so much for sharing at Inspiration Thursday. Have a great week.